The capital of Uzbekistan, the largest city in Central Asia, with a population of more than 2.3 million people, is a city with 20 centuries of history. 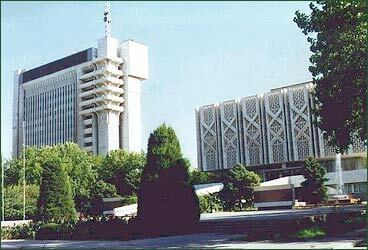 First information about Tashkent (earlier known as Shash, Chach, Binkent) dates back to the 2nd century B.C. Archaeological excavations have revealed that present-day Tashkent was a site of an ancient town which has continued to exist as a developed commercial and cultural center of the East, situated in the northern part of the Great Silk Route. In the Middle Ages, Tashkent became the center of an agriculture oasis, a town of handicraft and arts, a mighty fortress on the northern border with nomadic tribes. Such ancient buildings as the Barak-Khana (the residence of the Mufti - the Father of the Central Asian Muslims - is situated there now), the Kukeldash Madrasah, the Djami mosque and the Kaffal-Shashi mausoleum still remain in the city. After the terrible earthquake of 1966, the town was almost ruined. Tashkent was revived from ash and became one of the most beautiful cities of Central Asia, a cultural, scientific and industrial center.